The Democratic Republic of Congo’s President Felix Tshisekedi is facing a challenge appointing a prime minister from a coalition that is not recognised by the Constitution. The Cap for Change (Cach) coalition between the president’s Union for Democracy and Social Progress and Vial Kamerhe’s Union for the Congolese Nation has only 46 MPs in parliament. The prime minister is supposed to be appointed from the party with the majority of seats in parliament — at least 251 MPs from the total 500. This means that President Tshisekedi may have to craft a parliamentary alliance with the Common Front for Congo (FCC), a coalition formed by former president Joseph Kabila, which at 337 MPs, has the majority seats in the National Assembly. This constitutional crisis adds to the challenge of legitimacy that saw the leader of the opposition coalition Lamuka, Martin Fayulu, question President Tshisekedi’s electoral victory. The president and Mr Kamerhe pulled out of the Lamuka deal and later formed Cach. The DRC leader this past week embarked on a diplomatic charm offensive in Angola, Kenya and Congo Brazzaville, and was expected in Ethiopia for the African Union Summit. But analysts wonder if President Tshisekedi can appoint a PM from a coalition that is not recognised by Article 78 of the 2011 Constitution. Harold Acemah, a retired Ugandan diplomat and an expert on Congo affairs, said that President Tshisekedi must move fast to register the Cach-FCC alliance within 30 days, the period the Constitution gives him to form a government after the swearing-in, which took place on January 24. “After disputed elections, which do not meet the minimum standards to qualify as free, fair and credible, it is wise for President Felix Tshisekedi to consult with all major stakeholders in the DRC before he appoints a prime minister and a Cabinet. It also means that the president must build a national consensus in order to implement his manifesto,” said Mr Acemah. 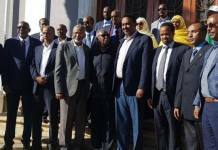 Article 78 of the Constitution says that the president appoints the prime minister from the ranks of the parliamentary majority after consultations with the party leaders. If such a majority does not exist, the president has to ask the leaders of various political parties to forge a coalition that would later be registered. 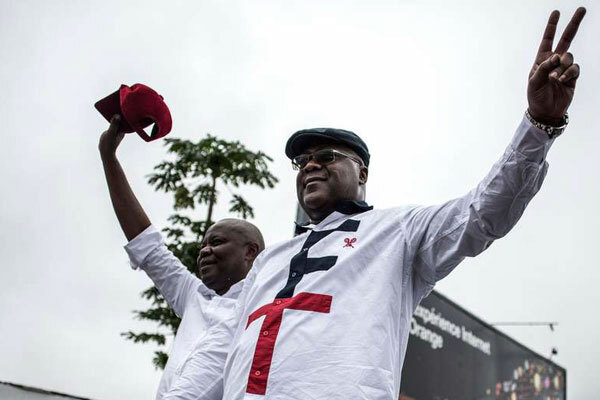 Stephanie Wolters, head of the Division for Conflict Prevention and Risk Analysis at the Institute for Security Studies, said that provided that the FCC remains intact, President Tshisekedi will be able to form a stable government. “Given the circumstances, there will be a lot of discussions on the way forward and he will have to form a broad-based coalition government that is inclusive,” said Ms Wolters. Arthur Masimango, a member of DRC civil society, said that the idea that President Tshisekedi will be forced to appoint a prime minister from the FCC whose programmes he will implement is misleading. “There will be negotiations with other parties, platforms and political figures, as happens in all countries with parliamentary or semi-parliamentary systems in the world. This is not unique to DRC or President Tshisekedi,” said Mr Masimango. The Fayulu camp has been telling its supporters that President Tshisekedi and Mr Kabila had an arrangement that would accord the former president influence and veto power in appointments in the strategic ministries of defence, finance, foreign affairs and the Governor of the Banque Centrale du Congo. With Mr Kamehre — who had been designated as PM when the Cach coalition was crafted in Nairobi — having been appointed Chief-of-Staff, the focus now is on Emmanuel Ramazani Shadary who came third on the FCC ticket, the influential president of the Congolese Employers Association, Albert Yuma Mulimbi and Henri Mova Sakani, a politician from Katanga Province. Meanwhile, President Tshisekedi’s diplomatic charm offensive is being seen as a response to the African Union initial questioning of the credibility of his election and failure to congratulate him. In Angola — which is the first to receive refugees in case of political instability in Congo — the president held talks with his counterpart, João Lourenço on security and the arbitrary repatriation of Congolese from Angola. In Kenya, President Uhuru Kenyatta expressed the country’s willingness to help the DRC achieve political stability, and offered to train Kinshasa’s public servants in the country. “We will continue to help you achieve peace and stability because we have had similar experience. Our country has been able to calm down political temperatures through the Building Bridges Initiative,” said the Kenyan leader. President Kenyatta was the only African head of state who attended President Tshisekedi’s inauguration in Kinshasa after the AU’s request for a delay was ignored. In Uganda, President Yoweri Museveni said he was in constant talks with the political leadership of the DRC over the country’s insecurity which also affects its neighbours. President Museveni, who was speaking last week at the sixth phase of the Presidential Investors Roundtable at State House in Entebbe, said solving the prevailing insecurity in the eastern DRC would be a great boost to trade between the country and its neighbours. At least 70 armed groups are active in eastern Congo, and approximately 1.6 million people remain displaced.